Janine Jackson interviewed Cindy Cohn about FISA reauthorization for the January 26, 2018, episode of CounterSpin. This is a lightly edited transcript. Janine Jackson: “Congress Advances Bill to Renew NSA Surveillance Program After Trump Briefly Upstages Key Vote” was the headline on a Washington Post article. The lead described the bill as reauthorizing “the government’s authority to conduct foreign surveillance on U.S. soil.” The language and focus on Beltway back-and-forth make sound like many another piece of legislative business what our next guest calls “a significant blow against the basic human right to read, write, learn, and associate free of government’s prying eyes.” Cindy Cohn is the executive director of Electronic Frontier Foundation. She recently wrote an open letter to the community on Congress’s vote. She joins us now by phone. 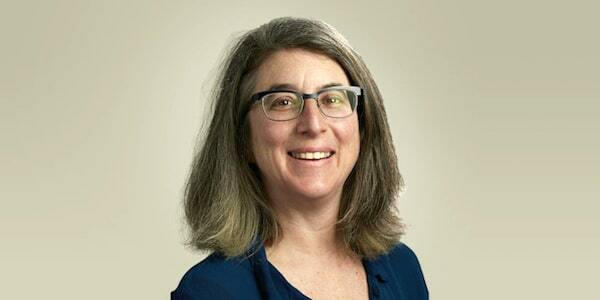 Welcome to CounterSpin, Cindy Cohn. JJ: Let’s leap right in. The bill that Congress has now passed is a reauthorization of Section 702 of the Foreign Intelligence Surveillance Act. In your letter, you say that Section 702 subjects to government review a great deal of internet activity of non-suspect Americans, “intentionally and by design.” Yet most media descriptions sound like Reuters, that said that 702 “gathers information from foreigners overseas, but incidentally collects an unknown amount of communications belonging to Americans.” That word “incidentally” is important to the government’s argument, isn’t it? CC: I think so. I think if the government admitted what it was doing—which is watching all the traffic that travels over key internet junctions—most people would understand that that includes them. But by using this term “incidentally,” and talking about only its “targets,” and not what it’s actually looking at and gathering, they managed a pretty significant sleight-of-hand that I think the media—most of the media—bought. JJ: Yeah, I read a piece in Just Security by Allyson Scher, who argued that the terms of the public debate likely skewed public understanding of the privacy interests at stake, just because of that use of the word “incidental.” And, in fact, the government sometimes acknowledges that this is not the reality of this collection. Didn’t they reject a proposal that would have subjected these things to judicial approval, and said, basically, that that would kill Section 702? So they are sort of admitting it in a backhand way. CC: Yeah, and in fact they’re only admitting it on the backend. There’s a thing called “backdoor searches,” which was the focus of a lot of the conversation in Washington, DC. Which is, once the government scans everything, and then collects what it wants out of this, which is this secret list, but you know, the scanning includes absolutely anything that travels over key internet junctures, so that includes a lot of domestic traffic, and it includes traffic where you’re in the United States and somebody else is overseas. But then, once they’ve captured it, then they let the FBI rifle through it for regular criminal cases. We call this a “backdoor search,” and that’s the one where they said, “Oh, we can’t possibly get a warrant for searching through this data that we’ve collected that we know includes Americans, because that would hurt the program too much.” And so there was, I think from the perspective of the DC policy people, this seemed like a pretty easy way to talk about the problem, and they couldn’t even get a vote on that bill, which is the Poe-Lofgren Amendment. JJ: Right. Well, I feel as though we need a reminder, unfortunately, that warrantless surveillance by government, it’s not just lamentable; it’s a violation of the Fourth Amendment, isn’t it? CC: Well, I think the Fourth Amendment should apply to this, and that it violates the Fourth Amendment. There are some scholars—and maybe a secret opinion—that says that as long as the government is looking for foreigners and not looking for Americans, whatever it does is outside the scope of the Fourth Amendment. Now that’s an important conversation, and it’s one that we’ve been trying to have in the courts for a very long time, and the government has used a lot of dodges, I would say, to try to make sure that the court can’t answer that question squarely. JJ: I see. Well, the difference between your response, and the kind of—I’m not saying it was absent of criticism, but just kind of dry tone of the media coverage. There seems to be a gap there in terms of the significance or the ramifications of this. I wonder what you’ve made of media coverage, in general, of this issue, and what should journalists be thinking about for themselves as this happens? CC: I think there was a threshold question of trying to get this issue to emerge, given the cacophony in DC right now around other issues. But I do think that to the extent there was coverage, there was rather, I think, uncritical swallowing of the government’s framing of this. We tried several things to try to bring out this problem of the massive overbreadth of what the government’s looking at and capturing, and were frustrated by the government’s refusal to even give us a number about how many Americans were affected by this program. Senator Wyden and a couple of other senators really worked hard to try to get some evidence to come forward to try to support our argument. They were shut down by—well, they were delayed by the Obama administration, and then shut down by the Trump administration. But I think the lack of outrage is really too bad. I think that the uncritical acceptance of the government’s story that, as long as there’s a terrorist somewhere in the situation, that everything they do is justified—as opposed to looking at the actual scope of what the government is doing, which is tapping into the very networks that we communicate on, and watching the traffic as it goes by. I just don’t think a government of free people has any business sitting at the main junctures and watching all the people we communicate with, and when, and how often. That really isn’t consistent with the freedom of people to simply have a private conversation. I think this especially impacts journalists, because a lot of what journalists do is to try to get information that is not already been public out, and to talk to sources, and research stories. But if those communications networks are subject to government watching, they’re going to have a hard time getting sources who trust these infrastructures, certainly sources in the national security world, who understand how this works. It’s a problem for journalism if suddenly nobody can talk to them without worrying that the government could be watching. Part of the job is to watchdog government itself, and you can’t do that if the government’s watching all of your communication. So I think that it’s a real risk for journalists that they, frankly, haven’t paid enough attention to, and I understand the government has not only hidden what they’re doing, but they’ve hidden the effects of what they’re doing. So one of the problems that we have seen is that the government uses something called “parallel construction,” which means that if they find something in their big storehouse of data about Americans’ communications, and they use it against you in a criminal case, they hide the fact that they did. And you and the court might never know that that’s where the information came from. So there’s lots of work to be done to try to bring this program out of the, frankly, sleight-of-hand and misuse of language to explain it, so that we can look at it clearly and decide as a country whether this is what we want. JJ: Finally, the open letter that you’ve written is of the “not a threat, but a promise” variety. You know, you talk about the fightback that Electronic Frontier Foundation and others are putting up, and will continue to put up. Can you just tell us briefly about some of the elements of that fight? CC: Sure. We have been active in the courts for a very long time. This is a constitutional problem, so we think the courts are the right place to set the rules for how the Constitution should be applied to situations like the government sitting on the backbone of the internet, looking at all of the traffic that goes by. We are participating in also some of the criminal cases. There’s been a couple that the government has admitted it’s used its secret storehouse, but not nearly as many as we think have happened. We’ve used the Freedom of Information Act to claw out more information about this. We’ve also worked hard, and will continue to do it, to actually harden the internet infrastructure itself, so that it is more resilient to this kind of surveillance. So we have been working to deploy encryption for the web, through some backend things like a certificate authority, and frontend things, like helping to make sure that there’s encryption from here to there, and support it, and pushing companies to deploy more encryption in the way their systems handle your communications. We’ve been pushing companies to gather less data, keep it for less time, and store it in encrypted form, so that the government doesn’t have access to it. You know, one of the features of this kind of surveillance, unlike lots of other surveillance, is that the government never has to tell you or interact with you at all, because your communications are carried by so many third parties, and we’ll continue the pressure on those third parties to step up and protect their customers, even if the government has failed to. There’s also work being done in Europe. There’s a new privacy-protective set of rules coming out of the European Commission, that are going to be in conflict with this kind of mass surveillance. And we are working with folks around the world, to try to make sure that those rules apply, to protect the privacy of people overseas. We’ve focused a lot in the congressional debate on the rights of Americans, but one of the things that’s going on in this surveillance is the U.S. government treating all the rest of the world as if it has no privacy interest whatsoever in its communications, and we don’t think that’s right, either. JJ: We’ve been speaking with Cindy Cohn, executive director of Electronic Frontier Foundation. Find their work, including Cindy’s recent open letter, on the web at EFF.org. Cindy Cohn, thank you so much for joining us this week on CounterSpin.